View of the pool at The Ritz-Carlton Fort Lauderdale. I love everything about this hotel. Watch this video I shot. And Burlock Coast Seafare & Spirits is a great restaurant with views of the Atlantic Ocean. The pool deck here is absolutely amazing. And Steak954 is one of my favorite restaurants. The jellyfish tank alone is worth going to see. The Pelican Grand is one of the few hotels that situated directly on the sand. The spa is located on the 11th floor and has sweeping floor-to-ceiling views of the ocean. If you need a good place to host a wedding, the rooftop terrace is amazing at this hotel. The Diplomat is a gorgeous hotel. I did a giveaway for this property and the photos alone make me want to go back asap. Read more about the Diplomat. The staff at this hotel is so friendly. And besides having a great location, this hotel is pet-friendly! Read more about The Atlantic Hotel & Spa. An all-around great property for families or for any type of traveler for that matter. 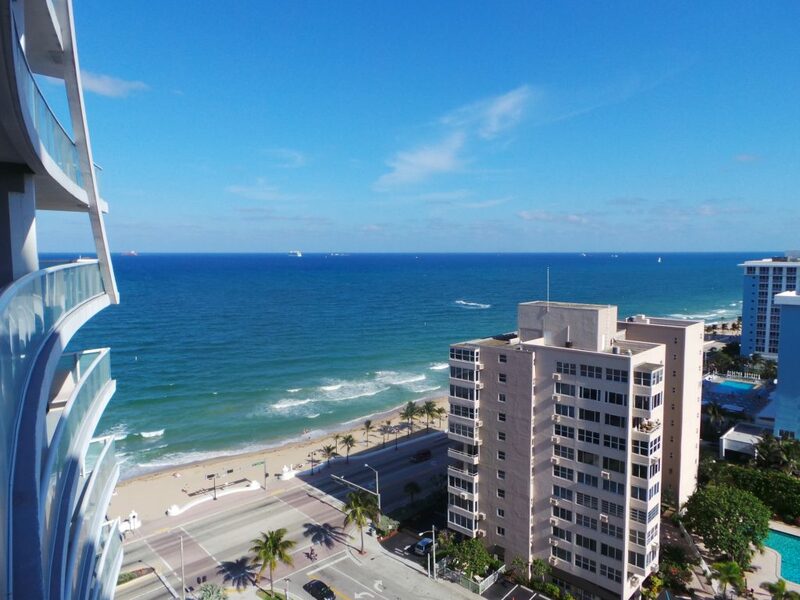 View of the beach at the W Fort Lauderdale. New hotel-condo developments are transforming the coastline in Fort Lauderdale. Sure to be a showstopper, Four Seasons Hotel & Private Residences is under construction. Situated in Fort Lauderdale’s North Beach Village, the Gale Boutique Hotel and its rooftop sky deck is slated to open in late 2016. Formerly the Escape Hotel, the complete $120 million face lift includes 96 hotel rooms and 128 condo residences. 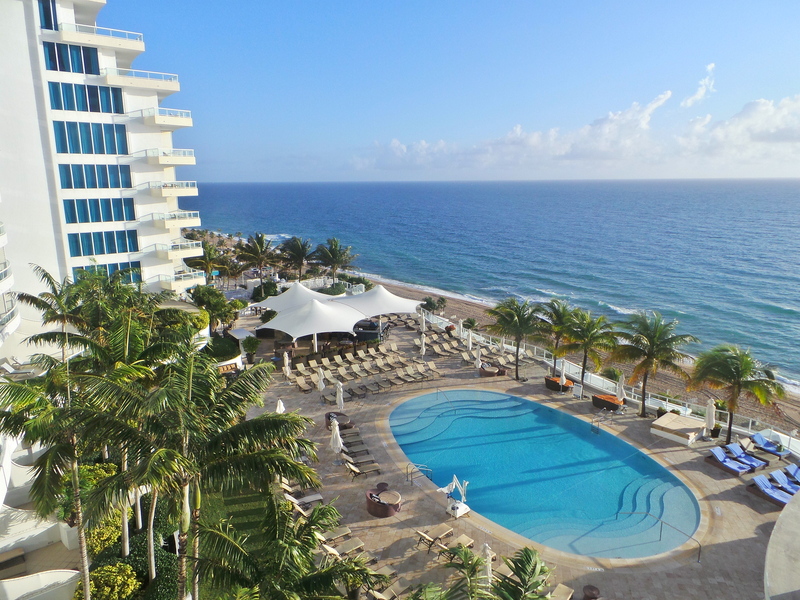 The nautical-themed Conrad Fort Lauderdale Beach Resort is the brand’s first resort property in the United States (all others, including Conrad Miami, are in urban locations). Check out Element by Westin Hotel in downtown Fort Lauderdale and Tryp Maritime by Wyndham Fort Lauderdale (the brand’s first location in Florida and only the third in the U.S.) on the State Road 84 marina district. Hollywood is home to a major influx of impressive hotels and real estate developments. The new $147 million, 349-room Margaritaville Hollywood Beach Resort is a Parrot Head-inspired resort featuring eight restaurants and bars, three pools, a full service “St. Somewhere Spa” and a double surf wave rider. Nearby, Hyde Resort & Residences, offers a less touristy vibe, since the building features both a hotel, as well as lavish two- and three-bedroom residences. It’s sister property, Beachwalk Resort recently opened along the Intracoastal Waterway in Hallandale Beach.